Minimise risk and stress – when you choose to list your property with David Millar Real Estate. Contact us today and we will guide you through every step. The Team at David Millar Real Estate are highly experienced Property Managers and we are committed to protecting your asset. We ensure that the Tenancy process follows strict guidelines and the highest standards that protect both You, the Owner and the Tenant. Here is a list of frequently asked questions and answers for Investors regarding the letting of Investment Property. If you can’t find what you are looking for here, please don’t hesitate to contact our office. Rental Bond How often will you get paid? What is the tenant selection criteria? How are we going to advertise your property? What if something goes wrong with your tenants? Why do you need insurance if we are professionally managing my property? Who is responsible for water charges? What are the minimum criteria for water charging? Contact Us How do we assess the worth of the weekly rental of your property? All applications for tenancy are thoroughly reviewed which include Tenancy Information Centre of Australia (TICA), a national database of defaulting tenants. TICA now has a total coverage of Australia and New Zealand. References from prior landlords and workplace are also carefully checked. Generally, a standard Residential Tenancy Agreement is entered into with the tenants, for a period of six (6) months, with an option to renew after this time unless the Landlords requirements are otherwise. All Agreements are in writing. A detailed entry condition report is completed at the time of taking over a new management. The cost of this in included in your management fee. 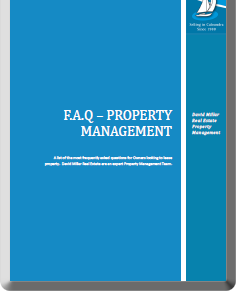 This covers all interior and exterior areas of the property and is a complete record of the condition of the property when the tenant takes occupancy. This condition of the property is confirmed by the tenant, and the vacate inspection is carried out according to this report when the tenant eventually terminates their lease. The report is updated at each tenancy change following the bond inspection. The maximum amount of Rental Bond allowable is an amount equal to four (4) weeks rental. This amount must be lodged with the Residential Tenancies Authority of Queensland. Under Management terms, it is the responsibility of the Agent to lodge the Bond with the Residential Tenancies Authority. Disbursements are made from our trust account directly to your nominated account at the mid and end of each month (2 payments per month). You will be sent a statement of payments to your nominated email address. We conduct inspections four (4) times a year approximately every 13 weeks. Rental arrears reports are prepared daily to ensure that rental payments are kept up to date. As a start to our arrears control system our staff checks the arrears status report daily. Each tenant on the report is phoned and asked to pay their rent. We have found this approach has met with outstanding success. Of course there will always be those tenants who still refuse to pay in these instances we send out the Notice to Remedy Breach and then Notice to Leave if required. We are finding that tenants are becoming more aware that they will be listed on the TICA database if they do not meet their commitments. Selecting the right tenant for your property is as important to us as it is to you. We guard our hard earned reputation of providing our clients with the most suitable applications to lease their investment properties. Our tenancy application form enables us to establish current and previous tenancy and employment history; as well as providing several business references. Through our strict screening process of contacting previous landlords/agents, current and previous employers, credit reference checks, we establish knowledge of the applicant’s character and reliability. Before making our recommendation we ensure we have established an accurate summation of the prospective tenants, with the final choice of tenant being yours. How are we going to advertise your property? Our extensive marketing campaign will most often result in multiple tenancy applications, giving you a greater choice of tenants and minimal down time. After each “open for inspection” it is critical that we communicate with you in order to keep you fully aware of developments with prospective tenants. We will advise you of any feedback on each occasion and call you on a regular basis until your property is successfully leased. It is often said that any property is simply worth what someone is willing to pay for it. The rent you receive will depend on a variety of factors that will receive our closest attention and considerable management expertise. Our entire team co-operates fully with enthusiasm to ensure that every marketing campaign has a successful conclusion. How do we assess the worth of the weekly rental of your property? And finally the owners opinion. What if something goes wrong with your tenants? Whether your tenants are behind in rent, have noise a complaint etc, David Millar Real Estate believes the best way to deal with issues is to abide by the laws and guidance of the Residential Tenancies & Rooming Accommodation Act. A notice to remedy breach is issued as soon as a complaint is made or non-compliance with lease agreement is found. If the tenants fail to remedy the breach a notice to leave is issued as per the Residential Tenancies & Rooming Accommodation Act. In a situation such as this you are kept up to date every step of the way, and while we offer advice and advise you of laws, the ultimate decision will be yours. Why do you need insurance if we are professionally managing my property? A specialist in providing Landlord insurance, Terri Scheer Insurance is a leader in the field when it comes to personalised local service. Who is responsible for water charges? Lessors (landlords) are allowed to pass on the full water consumption costs to tenants provided all the minimum criteria have been met. How do you prepare my property for lease? The following points have been compiled as a checklist to ensure your property is presented in excellent condition to prospective tenants. Please note as part of the “Residential Tenancies Act” a tenant is not required to enter into occupation if the premises are not vacant and in a reasonably clean condition. Is you building insurance current? Have you advised your insurance company you are vacating? Note: The Residential Tenancies Act requires that a landlord must provide locks to all external doors and windows of the rental premises. As the jurisdiction of the Residential Tribunal is $10 000 we strongly suggest installation of window locks and deadlocks to prevent any claim from a prospective tenant under this section. David Millar Real Estate is a registered member of the Real Estate Institute of Queensland. Under the new Residential Tenancies Act 1994, a great deal of emphasis has been placed upon the use of the mediation as a means of dispute resolution. If you would like a current market rental appraisal of your investment property please do not hesitate to contact us.